From Coronation Street and canals to Oasis and Manchester United – Manchester’s impact is felt across the world. Now they’re leading the way again as they adopt civic crowdfunding to transform the city’s arts, sports and green spaces. Here are the numbers behind Manchester’s latest initiative. Our Manchester, Esmée Fairbairn, Better Communities and Growing a Greener Britain are four funds currently backing crowdfunding projects across Manchester. Our Manchester has a special pledge pot to support projects that improve parks, green spaces and waterways as well as getting more people to use them. They’re pledging up to £5,000 towards the crowdfunding targets of the best projects. Learn more about the funds available in Manchester here. So far there have been thirteen successful projects across Manchester, from a £200 garden project with the Whalley Rangers to a £360,000 project to save the Ancoat’s Dispensary, a Grade II listed building, from demolition and instead turn it into a community hub. The most recent project to start crowdfunding is the Partisan Collective which aims to create a space for independent, DIY, cultural and political activities in Manchester. Check out its project page to find out more and to pledge. 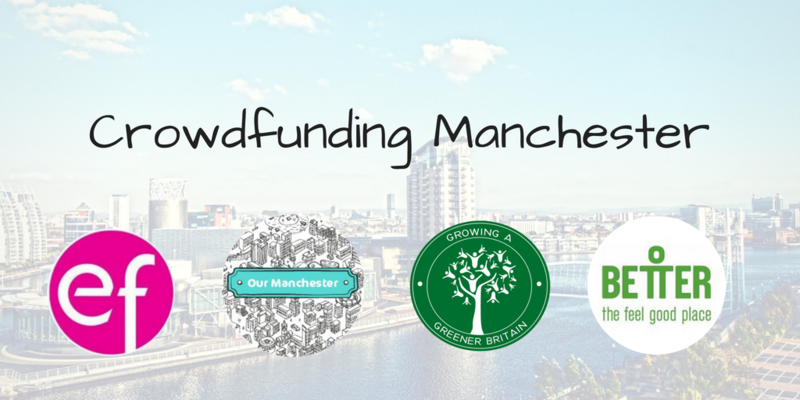 With 23 projects live across Manchester, the crowdfunding movement is growing bigger every day! Crowdfunding brings together citizens, businesses and local government to fuel the change happening in local areas. There has already been over a thousand backers supporting crowdfunding projects in their communities. With over £300,000 in funding available alongside support and training through regular events and webinars, the people of Manchester have an amazing opportunity to lead the way in civic transformation. Find out more about what’s happening across the city and get involved here.